Ambie, Cassadi, and Crystal discuss some games they've played recently, including EXIT: The Game, Ethnos, and Dice Forge. We then talk about dice in games and what we like or dislike about them. In this week's "Board Game Etymology" segment, Crystal discusses the origins of the word "roll." For the first time in forever, Toby and I went to Gen Con! This year was the 50th anniversary, and all the badges were sold out, so there were a lot of people there. We definitely did not go in expecting to play many games, but we still managed to play a few games throughout the convention! We also don't usually buy many new games, so we were mostly there just to experience everything as a once-in-a-lifetime event. The convention was overwhelming. Before this, the biggest board game convention I went to was 3,000 people, so it was a huge jump to go to the 60,000 people at Gen Con! Also, most of the conventions I'd been to were more focused on open gaming and didn't have many vendors, but half the convention center was dedicated to exhibitors. We walked through the Exhibitor Hall multiple times each day, and every time we'd see booths we hadn't seen before. I'm pretty sure we still didn't see everything there. Ambie went to Gen Con for the first time ever and made a vlog about her time there! I just got back from my 4th Dice Tower Con ever! 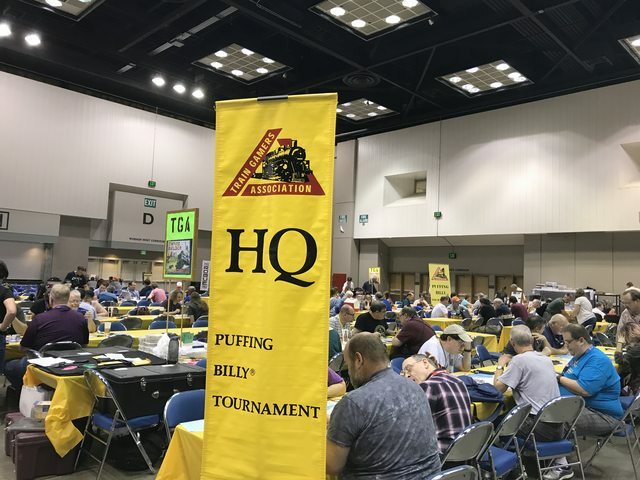 It was my first time as a Dice Tower contributor, but I was still able to play a bunch of games, as well as meet a lot of people and go to different events. I had a lot of fun! Over the course of the 5 days (really 4 and a half, since we left after lunch on Sunday), I had 65 plays of 46 different games, 32 of which were new to me! Granted, a couple of those were demos or incomplete games, but I still got to get the feel of them. I also participated in my first megagame ever, Future Tense! We were in line early for registration, a little before 9 am on Wednesday (Registration opened at 10). There were already quite a few people in line, but there were so many more that showed up afterwards. The hotel had free breakfast and coffee for us, which was pretty awesome. Also, the Dice Tower crew were giving out promos, and there was a table full of promos. I got a couple BattleCON promos, which is pretty exciting. Usually I don't own the games they have promos for, so I'm happy that these ones will get some use!